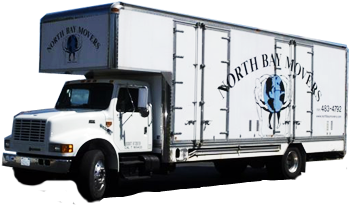 North Bay Movers is a storage & moving company in Santa Rosa that serves the entire North Bay Area. As Lakeport & Santa Rosa movers we’ve been helping the residents and businesses of Sonoma County, Mendocino County, Lake County and more move their belongings and prized possessions for over 30 years. North Bay Movers, with locations in Santa Rosa and Lakeport is a locally owned and operated moving and storage company. Owner David Noland has decades of experience and knows everything there is to know about moving, no matter what challenge you can throw his way. From rain to shine, we have the moving experience needed. Moving specialty items are our specialty. Be it a hot tub, pool table, safe, piano, or huge pieces of furniture, we know exactly what to do to movie it efficiently and safely. We’ve also got a storage facility on site! We provide quick, easy online estimates for our customers. If you need anything moved anywhere in the Bay Area, don’t hesitate to give us a call or contact us online. For your convenience, we have two moving and storage locations to serve you in Santa Rosa and one in Lakeport. Whether you’re moving your home or business, get your quick FREE online moving estimate.